Situated 200 m from the beach in Albufeira. The California hotel is located in the centre of Albufeira on the Portuguese coast of Algarve, right in the picturesque old city centre with its shops, bars and restaurants, and only 200 m from the beach. Hotel.. The lively town of Albufeira on the Algarve Coast of Portugal is home to the family-run 3-star Hotel California, situated on the pedestrianised street in the resort centre. Only 200 yards from the beach, the affordable Hotel California has 73 comfortable.. Located 600 m from the beach, 2 km from the centre and 300 m from the bus stop. The complex amenities include an outdoor swimming pool, garden, parking and sun terrace.The studios are equipped with bathroom/shower, A/C, TV, safe (extra charge),Wi-Fi,.. 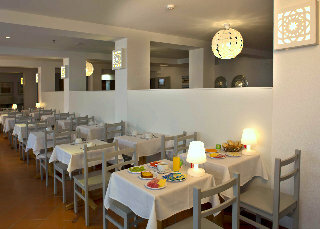 The hotel lies in the outskirts of Albufeira around 800 m from the resort centre. Numerous shopping and entertainment facilities are just a few minutes from the hotel. There is a stop for public transport just in front of the hotel. The nearest beach.. This contemporary hotel is situated in a scenic hilltop position overlooking the Atlantic Ocean and Dona Ana beach, regarded by many as one of the most beautiful beaches of Europe with its fine sand and the dramatic cliffs. The historic centre of the..
General Description: Carvi Hotel in Lagos has 103 rooms and was renovated in 2009. The sandy beach is 50 m from the hotel and the town of Lagos is 1500 m away. The closest city to the hotel is Portimao (22 km). To make your stay more comfortable a lounge,..
General Description: Carvoeiro Sol is situated directly on the sandy beach. The closest cities to the hotel are Armacao (10 km), Portimao (12 km) and Albufeira (30 km). To make your stay more comfortable a reception, a lobby, an elevator and air conditioning..